Chicago, IL & Colleyville, TX – AGE-u-cate Training Institute (www.AGEucate.com) has been awarded $687,904 in Civil Monetary Penalty funding by the Centers for Medicare and Medicaid Services to help 140 Ohio nursing homes improve care to residents with dementia. The three-year project is titled “Compassionate Touch®: A Practical Approach to Ease Behavioral Symptoms”. This project will directly benefit nursing home residents by providing non-pharmacological strategies, i.e. skilled touch techniques and specialized communication, which will strike at the underlying causes of negative, behavioral expression in participating residents: improving their overall quality of life. Compassionate Touchâis an approach combining skilled touch and specialized communication shown to prevent behavioral expression in people with dementia and reduce job stress in care-partners. “There is an urgent need to better support persons living with dementia and we look forward to working with Ohio nursing homes,” says Pam Brandon, AGE-u-cate’s President and Founder. “This program offers simple, yet effective tools for care partners to connect with, calm and comfort those they are caring for who are living with dementia”. The Compassionate Touch® program was developed by Ann Catlin, OTR, LMT, a leading expert in the field of skilled touch in eldercare and hospice. Drawing on 30 years’ experience, Ann has guided professionals and organizations to rediscover ‘touch-as-medicine’ in person-centered dementia care. AGE-u-cate Training Institute develops and delivers innovative, research-based aging and dementia training programs for professional and family caregivers. Training is delivered across the United States and internationally in long term care communities, hospitals, in-home, hospice, and community-based organizations as well as universities. Chicago, IL & Colleyville, TX – AGE-u-cate Training Institute (www.AGEucate.com) has been awarded $760,189.00 in Civil Monetary Penalty funding by the Centers for Medicare and Medicaid Services to help 140 Ohio nursing homes improve care to residents with dementia. The three-year project is to improve the quality of care and quality of life of long-stay nursing home residents in Ohio who have dementia or dementia-related conditions. This will be achieved with Dementia Live®, an experiential learning program simulating cognitive and sensory impairments, giving participants a real-life experience of living with dementia. Through the Dementia Live® program, participants are empowered with new tools for improved communication skills and care practices that can be implemented as they go about their work in the nursing home. These improved communication skills and care practices will ultimately help decrease resident behavioral symptoms that arise from dementia and dementia related conditions and will help increase resident well-being. Atlanta, GA & Colleyville, TX – AGE-u-cate Training Institute (www.AGEucate.com) has been awarded $422, 900 in Civil Monetary Penalty funding by the Centers for Medicare and Medicaid Services to help 66 North Carolina Nursing homes improve care to residents with dementia. Atlanta, GA & Colleyville, TX – AGE-u-cate Training Institute (www.AGEucate.com) has been awarded $422, 900 in Civil Monetary Penalty funding by the Centers for Medicare and Medicaid Services to help 66 North Carolina Nursing homes improve care to residents with dementia. Compassionate Touch® is an approach combining skilled touch and specialized communication shown to prevent behavioral expression in people with dementia and reduce job stress in care-partners. The goal of this project is to equip staff working in 66 North Carolina nursing homes with practical skilled touch techniques to incorporate in daily care routines. Compassionate Touch training will also be conducted for North Carolina state surveyors, Long-Term Care Ombudsman, and North Carolina Quality Improvement Organization. The Compassionate Touch program was developed by Ann Catlin, OTR, LMT, a leading expert in the field of skilled touch in eldercare and hospice. Drawing on 30 years’ experience, Ann has guided professionals and organizations to rediscover ‘touch-as-medicine’ in person-centered dementia care. AGE-u-cate Training Institute develops and delivers innovative, research-based aging and dementia training programs for professional and family caregivers. Training is delivered across the United States and internationally in long term care hospitals, in-home, hospice, and community-based organizations as well as universities. Aug. 13, 2018, Waltham, Mass. & Colleyville, Texas – Benchmark (www.BenchmarkSeniorLiving.com), a leading provider of senior living services in the Northeast and AGE-u-cate® Training Institute (www.ageucate.com), developers of innovative aging education, today announced the two organizations have partnered to bring additional dementia education to Benchmark communities throughout the Northeast. According to the World Health Organization, there are over 50 million people currently living with dementia, and this number is expected to triple by 2050. To help address the growing need for dementia knowledge and continue to provide superior care, Benchmark has deployed AGE-u-cate’s Dementia Live® curriculum company-wide, delivering advanced education to its memory care team members throughout the Northeast. In addition, to help people in the areas they serve along their journey, many Benchmark communities are now offering complimentary public workshops for caregivers and family members that are designed to provide practical insight into what it’s really like to live with dementia. Dementia Live puts individuals in the position of being able to experience what those with a brain affected by dementia, Alzheimer’s disease and other memory disorders encounter. By incorporating demonstrations and tools, such as a dementia simulation experience and practical action plans, called Empowerment Tools, individuals are able to go inside the dementia brain for the first time, making it easier to care for and understand those with the disease. AGE-u-cate Training Institute develops and delivers innovative aging and dementia education for professional and family caregivers, serving senior care communities, nursing homes, home care and hospice providers, government agencies, hospitals, the business community and families. AGE-u-cate’s programs are being implemented by providers across the United States, Australia, Canada, and this year will be expanding to other countries. In addition to Dementia Live education, Benchmark memory care communities offer a Mind & Memory approach crafted and guided by Certified Dementia Practitioners. This unique approach is designed to help those with memory loss stay active, healthy and engaged, staying connected to what matters most. Special programming, services, resident support and Family Connect help residents feel secure, comfortable and successful every day. 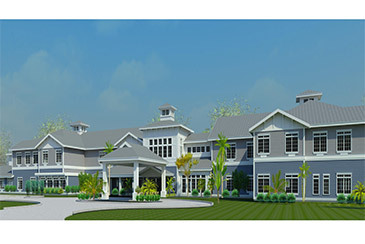 In 2019, the company will open Adelaide Place of Newton Centre in Newton, Mass., a dedicated memory care community complete with cutting-edge, first-of-its-kind programs. Based in Waltham, Mass., Benchmark is a leading provider of senior living services in the Northeast. Founded in 1997 by Tom Grape, Benchmark operates 57 senior living communities offering independent living, assisted living, Alzheimer’s care and continuing care in Connecticut, Maine, Massachusetts, New Hampshire, New York, Pennsylvania, Rhode Island and Vermont. In 2018, Benchmark was certified as a Great Place to Work by the Great Place to Work Institute and became the first senior living organization and only the fifth Massachusetts-based company to receive Certified Age Friendly Employer (CAFE) designation from RetirementJobs.com. It also has been recognized as a top workplace by The Boston Globe for 10 consecutive years as well as by the Boston Business Journal, Connecticut Post, Hartford Courant and Hartford Business Journal. For more information, visit BenchmarkSeniorLiving.com. AGE-u-cate Training Institute develops and delivers innovative aging and dementia training programs for professional and family caregivers. AGE-u-cate’s programs are enhancing the lives of elders, their care partners and families, meeting the urgent training needs across the US, and internationally by long term care communities, behavioral hospitals, in-home and hospice care, community based organizations and universities. Benchmark Press Contact: Carol Arnold, Arnold Communications, carol@arnoldcomm.com, (603) 502-0469. AGE-u-cate Press contact: Renee Riffey, Director of Client Engagement, AGE-u-cate, (817) 857-1157 x204. (Fort Worth, Texas) — Denise Helms, R.N., B.S.N, CEO of Overture Home Care, a Fort Worth, Texas-based home care service company, has announced that Overture has satisfied the requirements to become a Dementia Live® authorized organization. Dementia Live is an AGE-u-cate® Training Institute program. According to AGE-u-cate Training Institute, the Dementia Live program is a high impact, dementia simulation experience that immerses participants into life with dementia, resulting in a deeper understanding of what it’s like to live with cognitive impairment and sensory change. Overture’s Dementia Live training was spearheaded by Ms. Helms and Paige Wolk, Overture’s senior vice president and licensed social worker. The two executives completed the original training to become authorized coaches before training Overture’s caregivers. In addition to Dementia Live training, Overture provides a variety of continuing education courses to medical professionals. According to Overture, several of the home care’s clientele suffer from dementia. The company’s leadership team wanted to continue to improve their care services, particularly in light of Fort Worth – Overture’s headquarters city – becoming a Dementia Friendly® community. For more information about Dementia Live training or dementia care services, please contact Overture Home Care 817-887-9401. Overture Home Care offers non-medical, RN-delegated home care and companion services to seniors and other individuals requiring care. The company’s highly-trained caregivers are overseen by a staff RN, delivering a variety of services to enable their clients to live independently, safely and with dignity. 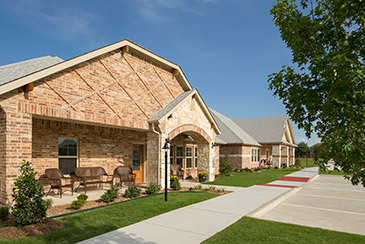 Based in Fort Worth, Texas, a Dementia Friendly® community, the company currently serves Tarrant, Johnson, Parker, and Hood counties, which includes Fort Worth, Arlington, Benbrook, Burleson, Colleyville, Flower Mound, Keller, Southlake, Trophy Club, West Lake, Granbury, and Weatherford. Overture provides compassionate care to their clients and peace of mind to client families. For more information, please visit www.overturehomecare.com, or follow on Facebook. The Eastern Carolina Council Area Agency on Aging trained 20 leaders to be authorized to lead the Dementia Live® coaches throughout its nine-county region, reaching families and professional caregivers for persons living with dementia. “We are excited to bring this impactful dementia experience to our community,” stated the Human Services Planner, January Brown who led this effort as part of the Family Caregiver Support Program. The Easter Carolina Council Area Agency on Aging serves a population of 645,000 and whose mission is to advocate, plan, develop and support a comprehensive system of quality services designed to attain and preserve quality of life, health, and independence of older adults, individuals with disabilities, and caregivers. AGE-u-cate® Training Institute and IKOR announced their partnership in December of 2017 on offering IKOR Managing Directors in-depth training on the Dementia Live® program. This training will provide the IKOR Managing Directors with training and tools to educate families, organizations and communities how to better support those affected by Alzheimer’s Disease and related dementias. According to the Alzheimer’s Association, there are more than 5 million Americans living with Alzheimer’s Disease. By 2050, that number could rise as high as 16 million. 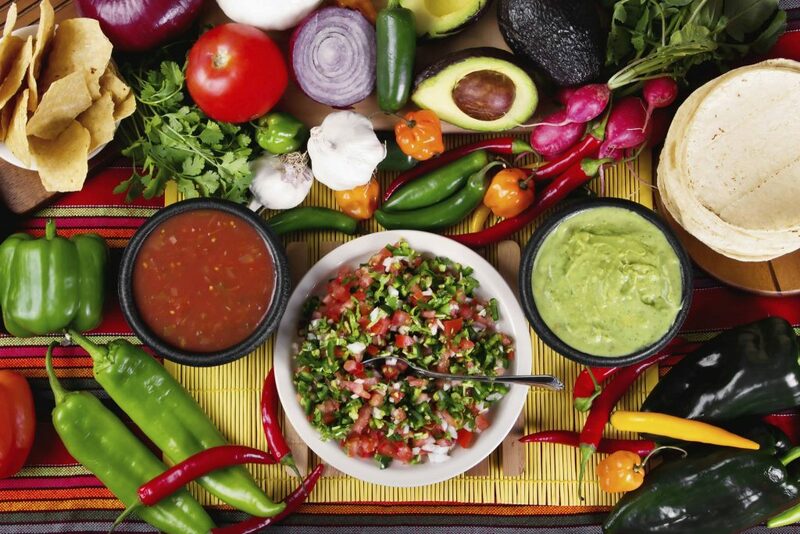 The Association of Nutrition & Foodservice Professionals held its Fall Meeting in EauClaire, Wisconsin in early September. They invited AGEucate Training Institute to provide a unique opportunity for them to briefly, yet movingly, experience the challenges and struggles of a person living with dementia. They will also be touring The Jacob Leinenkugel Brewing Company in Chippewa Falls, WI. Dementia Live™ is an innovative program designed by a team of dementia, sensitivity and awareness, and professional development experts from the nationally recognized AGE-u-cate® Training Institute headquartered in the Dallas/Fort Worth Metroplex. Using specialized gear within a safe, experiential setting, Dementia Live™ provides gives participants a real-life simulation of what it must be like to live with dementia. Participants gain greater awareness and understanding of the constant struggles (24/7) affecting persons with dementia. Greater understanding leads to more sensitive care partnering. We invite WQOW to contact Beth Propp to experience Dementia Live™ personally. Please contact our Master Trainer to schedule a private noontime session. The event will take place Thursday, October 12, 2017. The event is being held at the Sleep Inn & Conference Center, EauClaire, WI. Did it ever occur to you that what we think about telegraphs to the people around us? If a person who is experiencing a strong negative emotion (could be sadness or anger) joins a group in a room, it is usually easy for those in the room to realize that this new person has something bothering them. Outwardly, they might not look any different, but you “feel” something is not right. Conversely, if a person who is feeling positive (could be joy, happiness, even peace and contentment) joins a group in a room, individuals may not be able to explain it, but they start to feel more positive, centered, peaceful. These two examples illustrate how powerful our thoughts are when we interact with others. “When we touch another with a compassionate heart, it creates a sacred moment.” These are the words of Ann Catlin, LMT, NCTMB, OTR, a recognized expert in the field of massage for those in later life stages. 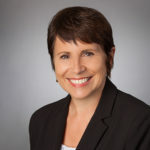 In 2002, she founded the Center for Compassionate Touch, LLC and in 2015 she joined the AGE-u-cate Training Institute, LLC, serving as Vice President of Training and Education, helping develop training programs. She is a Master Trainer for Compassionate Touch® and Dementia Live™. Touch is a basic human need. In fact, it could be considered one of our most fundamental human needs. A need that remains for a lifetime. Touch is the first sense to develop at birth and it is one of the last senses to go during dying. In fact, as we experience decline of the body and mind due to aging or illness, the need for human touch may be emphasized in the search for reassurance, comfort, and connection. Some older adults can experience “touch deprivation” which can lead to feelings of isolation, anxiety, sadness, and anxiety. Pam Brandon, President/Founder of AGE-u-cate Training Institute, whose Dementia Live™ and Compassionate Touch® programs are transforming care for elders, explains that when you touch someone to perform a task or procedure that is considered “instrumental touch.” The mechanics of doing something for someone is superseded by the importance of how you are feeling as you approach the person to do the task. “Expressive touch” is about how you are feeling emotionally as you show care, concern, affection, and empathy. The person receiving your “expressive touch” feels validated, supported, and it eases any distress happening in the moment. When you combine “instructional touch” with “compassionate presence,” you are connecting with the individual first rather than the task to be completed. Compassionate Touch® is a way of relating through the use of human touch with conscious intent. If you approach someone who needs comforting or calming, make sure your compassionate antenna is up. This means that you are in a calm and relaxed place before you reach out to comfort the other person. Please be aware that if you are thinking negative and anxious thoughts, that you will transfer those feelings to the other person, even if outwardly you put on a smiling demeanor. The person receiving your thoughtful touch will be just that—receiving whatever you are thinking of. Compassionate Touch®, if done correctly, is a mutually beneficial experience. The person offering the compassionate presence and gentle touch feels less stressed themselves and feels closer to the person being cared for. Next time you reach out to comfort someone by your own personal version of compassionate touch, be aware of what you thinking. It will make a big difference on the effect of your touch. Carol Corio has been studying integrated health therapies for more than 25 years with certifications in aromatherapy, polarity therapy, RYSE, Reiki, and Integrated Energy Therapy (EIT) sharing her long-time passion for integrating the benefits of therapeutic aromatherapy with those served by Old Colony Hospice & Palliative Care, and independent, private, non-profit, Medicare certified CHAP accredited, family centered, dedicated team of professionals providing excellent care services on the South Shore since 1979. For information, call 781-341-4145, visit www.oldcolonyhospice.com, or email Carol at: ccorio@oldcolonyhospice.com. Reprinted from the August 2017 issue of the South Shore Senior News. Despite increasing construction costs, contractors reporting widespread labor shortages, senior housing occupancy rates dropping and various industry data predicting a slow-down in construction, senior living organizations across the country are reporting plenty of activity in the form of expansions, renovations, openings, new construction and acquisitions. Dominion Senior Living continues to make its statement in the senior living industry with its defined faith-based culture and tremendous growth. This year it has already opened two new communities in Hixson and Bristol, TN, and is scheduled to open communities in Athens, TN, and Richmond, KY, in the next few months. It also started construction on communities in Frankfort and Florence, KY, as well as Anderson and Clemson, SC. 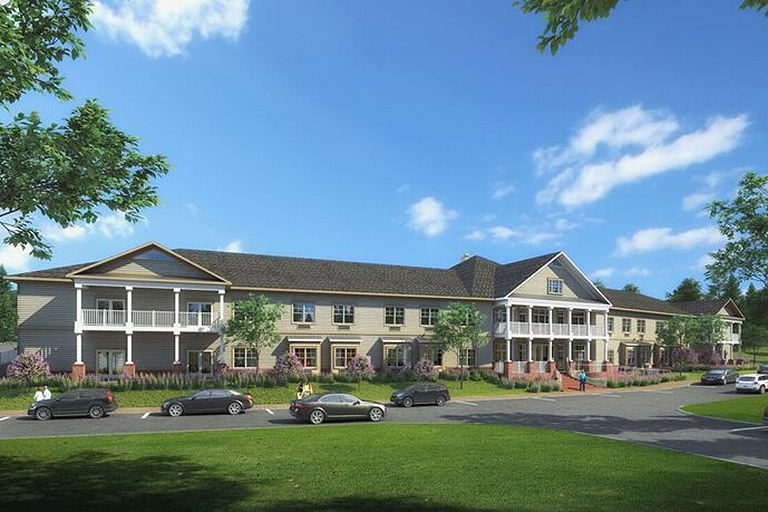 “With our history of substantial growth and our future rapid expansion, our goal is to invest in people while changing the lives of three groups: seniors, their families and our team members,” said Michael Holtzclaw, senior director of operations for Dominion Senior Living. Lifespace Communities will invest approximately $400 million in redevelopment efforts over the next few years. Making improvements to existing communities and pursing opportunities for growth are two key initiatives. Within the past four months, Lifespace has completed renovations at two communities, started construction at another and anticipates beginning construction at three other communities by early 2018. 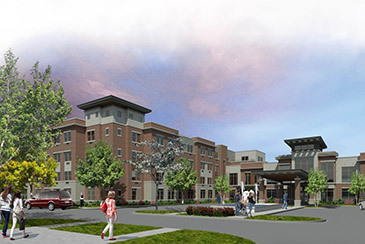 Development of the first phase of its $150 million Oak Trace in Downers Grove, IL, will start in early fall and include a new, modern-design health center with 66 new assisted living apartments, 28 memory support suites and 102 skilled nursing suites with private courtyards and attractive views. Phase II will follow directly with construction of more than 150 new residential/independent living apartments. Mustang Creek Estates, based in Dallas, brings its fifth senior living community to Dallas/Fort Worth, announcing construction of a 42,000-square-foot, $7.5 million dollar assisted living and memory care community in Sachse, expected to open in fall 2017. Mustang Creek Estates of Sachse is accepting reservations for its residential-style community that will feature six uniquely designed homes facing a greenspace and walking path and housing up to 16 seniors in each home. A flexible schedule will enable residents receiving personal assisted care to continue living as they did at home, including the ability to congregate in the central open kitchen in each home in the neighborhood as their meals are prepared from scratch. Civitas Senior Living, a Texas-based senior living management and consulting company with more than 30 communities across the nation, recently announced its latest development: Parc Hill Senior Living in Orange City, FL, with 69 assisted living apartments and 30 memory care units dedicated to individuals with Alzheimer’s and dementia. It is scheduled to open in spring 2018. 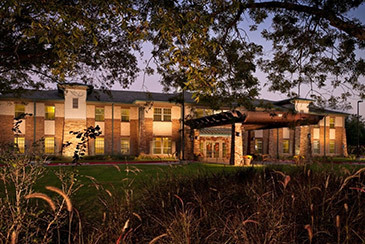 Civitas also acquired Oyster Creek Assisted Living and Memory Care in Missouri City, TX, an 87-unit assisted living and memory care senior community in Missouri City, TX. On April 1, 2017, Civitas started managing the property and, as of June 30, transitioned from management to ownership. Clarendale of Chandler is one of at least three $10 million dollar-plus senior residential developments planned in the city of Chandler, AZ, and at least 29 Valley-wide. With construction starting November 2017, plans for this $45 million dollar project call for a 247,400 square-foot assisted living community to consist of a three-story residential building and 14 stand-alone residential villas (independent living). The main building will be primarily three stories but also feature one- and two-story elements. It will include 116 independent and 64 assisted living dwellings, as well as 38 memory care spaces. Jackson Creek Senior Living, a 137-unit senior living community in Monument, CO, recently broke ground for a 127,800 square-foot, three-story building tentatively scheduled to open in fall 2018. It will feature 80 assisted living and 27 independent living residences with different size options and 30 memory care communities in two secured neighborhoods, each with 15 studio units. In Dayton, OH, plans call for an early 2018 construction start on the redevelopment of the Rollandia golf course into a senior housing development. The plans for the senior living community will be developed on a nearly 10-acre plot of land, containing 123 independent living units, 57 assisted living units and 20 memory care units. The remaining 40 acres are designated for single-family detached homes targeted to empty-nesters and a multi-family rental community targeted to both empty-nesters and young professionals. Construction is set to start in early 2018 on the Woods Assisted Living Community in Plainfeild, IL, which will be a new 60-unit assisted living and memory care community as a part of Community Crossroads Business Center. Grand Living at Tamaya in Jacksonville, FL, will start construction in October 2017 on a more than $40 million four-story, 200,000 -square-foot 165-bed independent- and assisted-living community with 32 residences reserved for memory care. As associate editor, Cheryl writes a weekly feature story for Senior Living News and helps plan its HealthTAC events. Previously senior public relations strategist for Varsity, a marketing and sales consulting agency focused on occupancy for retirement communities, CCRCs and assisted living facilities, Cheryl continues to serve senior living clients. She also managed national media relations as Rite Aid’s director of public relations and Hershey Entertainment & Resorts’ manager of public relations.